Munetaka Higuchi, drummer with Japanese metal stalwarts Loudness, passed away on 30 November in Osaka, Japan. The 49-year-old drummer died after a long battle with liver cancer. 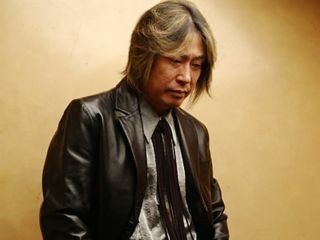 Higuchi reportedly underwent two rounds of chemotherapy and an operation to remove part of his liver before his death. Megadeth's drummer Shawn Drover told Blabbermouth.net. "I just found out that one of my favourite drummers passed away. Munetaka had been diagnosed with liver cancer less than one year ago and lost his battle, which makes me very sad. I have been a Loudness fan since 1983 and have continued to follow them throughout the years. This is once again a reminder to enjoy life and be thankful for what I have." "My condolences to the family of Munetaka Higuchi and the members of Loudness on the passing of Munetaka Higuchi-san. I had the opportunity of being interviewed by him while in Japan with Quiet Riot in 1989 for a Japanese drum magazine. He was very kind and an excellent drummer. May he rest in peace."